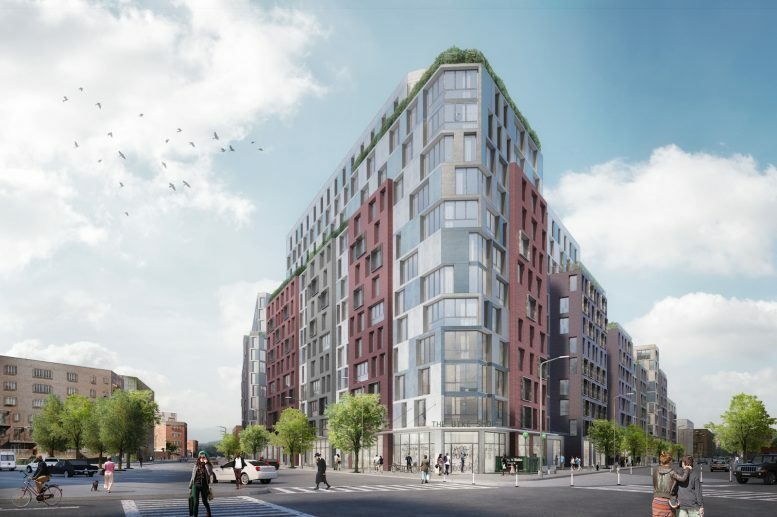 Multi-block redevelopments are becoming commonplace in the formerly industrial areas that border the burgeoning residential blocks of northwest Brooklyn, and now another major site has been added to the list. 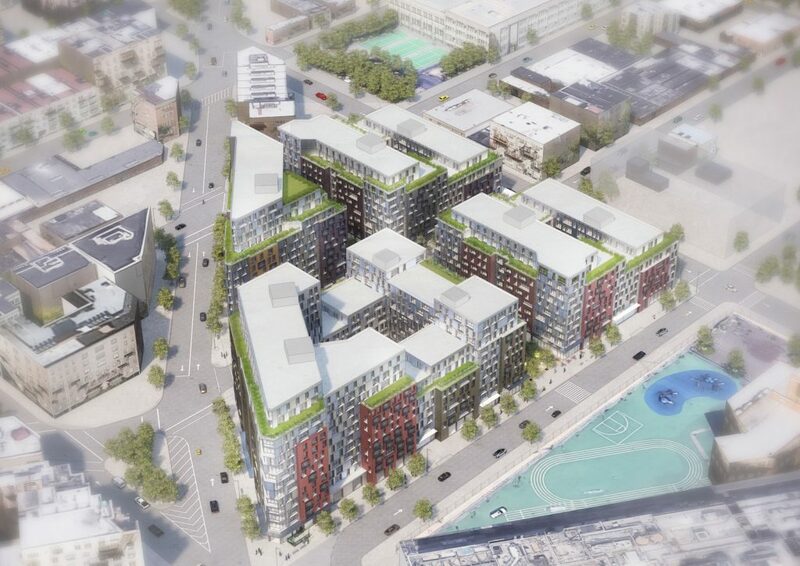 Yesterday, City Planning approved the Pfizer redevelopment in South Williamsburg, which will see the derelict 4.2-acre site completely revitalized. The full plans include 1,146 units of mixed-income housing, 65,000 square feet of retail space spread throughout the new buildings, and a half-acre of public space. Of the 1,146 apartments, 287 will be designated as permanently affordable. The Rabsky Group is developing. YIMBY has a look at several renderings for the site, which show a massively positive transformation to the neighborhood streetscape. The new buildings will be designed by Magnusson Architecture & Planning, and will greatly aid in establishing the neighborhood’s nascent street-wall. None of the structures appear to be taller than fourteen floors, and while that’s a decent amount taller than most of the built fabric nearby, neighbors will not be overwhelmed. The project still needs to be approved by the City Council, however, if that does occur, construction is expected to begin in early 2018, with completion anticipated by 2019. 1 Comment on "Rezoning Moves Forward for Rabsky Group’s Pfizer Redevelopment, South Williamsburg"
However, I still support towards rezoning.